Jumbo loans are conventional loan that exceed the local conforming loan limits set by Fannie Mae and Freddie Mac. Because they are considered non-conforming, most lenders offer these loans with higher interest rates and require a 20% down-payment. USA Mortgage offers Jumbo loans with very competitive rates, and as little as 10% down. Jumbo Loans exceed the maximum loan amounts established by Fannie Mae and Freddie Mac Conventional loan limits. In Boone County, MO this limit is $417,000, so any loan amount above that is considered a Jumbo. Rates on jumbo loans are typically higher than conforming loans. Jumbo Home Loans are typically used to buy more expensive homes and high-end custom construction homes. USA Mortgage offers a wide variety of Jumbo loan options including fixed and adjustable rate, and programs with as little as 10% down, where most lenders require 20%. Clients are looking for high priced properties without the ability to pay cash. Individuals are buying investment properties or primary resident. % Clients without 20% down for these loans. Clients are looking to upgrade to bigger homes. USA Mortgage offers a range of fixed and adjustable rate Jumbo Mortgage options. The more financially stable and savvy buyer purchasing a more expensive home could greatly benefit from an adjustable rate Jumbo mortgage. 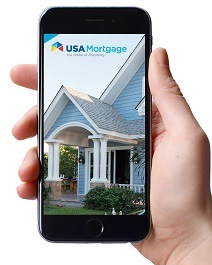 USA Mortgage has many options with intro fixed rates for 3, 5, and even the first seven years. Offers low or no origination fees. Offers 90% loan to value financing options. Can do loans up to $3,000,000.00. Offers both fixed and adjustable mortgage option.